Not all mobile phones are capable of serving as your primary camera. A smartphone with an underwhelming shooter may ruin more pictures than it gets right. But that doesn’t mean that rear-facing lens is useless. Here are six ways to get value out of an otherwise crummy camera. You’re on vacation, and there’s a barcode on a sign or a product offering more information. The only way to take advantage of that is to take out your phone and snap a picture. If you use the right app, you’ll see your browser automatically open to a relevant webpage. These days it’s not too uncommon to see establishments use barcodes to share information they didn’t want to cram onto a sign, and you don’t need 21 megapixels to take part. This functionality has been around for years, long before smartphone makers really started giving point and shoot cameras a run for their money. So again, you don’t need an amazing shooter to start shopping savvy. There are absolutely no shortage of note-taking apps in the Play Store, but that doesn’t matter. Some of us prefer to take notes by hand using pen and paper Why Paper Planners Are Relevant in the Age of Smartphone Calendar Apps Why Paper Planners Are Relevant in the Age of Smartphone Calendar Apps Smartphones are great, but maybe planners are one thing they shouldn't have replaced. Read More . 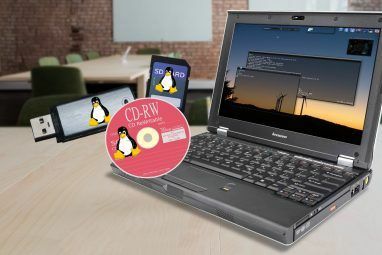 But this decision comes at the expense of having a backup, and most notebooks aren’t as pocketable as our smartphones. Fortunately you can use your smartphone camera to keep a second copy tucked away in your gallery where it’s accessible at any time. You can do the same with other documents that may not stand the test of time. Store receipts may seem like they will hold up, but if you pull one out months after making a purchase, you may find that most of the ink has faded away. Good thing a photo can provide the same information you need to make a return or document a purchase. The best part: you don’t need to download anything special to get started. 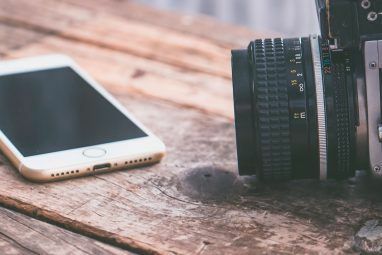 Your default camera app will do just fine, though there are plenty of alternatives to choose from 6 Best Free Alternative Camera Apps for Android 6 Best Free Alternative Camera Apps for Android Don't like the camera app that comes on your phone? Give these alternatives a try! Read More if you’re looking for something different. You can then upload any photos you take to Google Keep, Evernote, or your service of choice Simple Notes On The Go: Google Keep For Android Reviewed Simple Notes On The Go: Google Keep For Android Reviewed There are some amazing note-taking apps out there, but here's one that merits a closer look: Google Keep, a note-keeper which has both a great-looking Android app and a slick webapp. Read More . Or you can manage your receipts using an app like Smart Receipts. In places where you can’t trust other drivers or law enforcement, a dash cam can be a crucial way to prove your side of an dispute. For this reason, some drivers take to driving with one at all times. When a meteorite landed down in a Russia a while back, a dashcam caught the phenomenon on video. You don’t have to invest much money to create a usable set up in your car. Just install one of the available Android apps 3 Dash Cam Apps For Android, Compared: Which One Can Protect You Best? 3 Dash Cam Apps For Android, Compared: Which One Can Protect You Best? 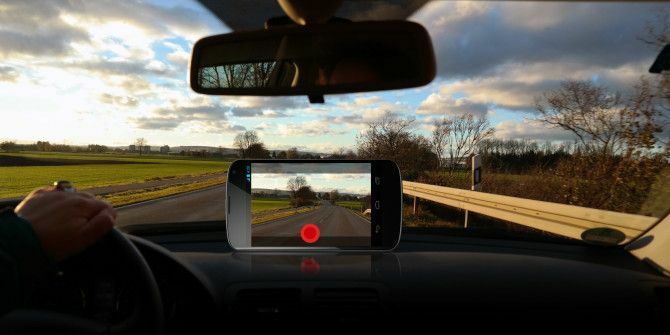 Should you spend a few hundred dollars on a stand-alone dash cam or should you use the camera and GPS device you already have - your Android smartphone? Let's find out. Read More and toss your phone up on the dash with a proper mount. Then you’re all set to hit the road. Whether you wish you could stay by your newborn child 24/7 or you’re pining for a break, you have to step away at some point. But that doesn’t mean you can’t keep an eye out. With an extra phone or tablet set to watch your child’s movements, you can have an idea what’s going on even if you step out to check the mail. A bad camera may not fully capture your little one’s beauty, but you will be able to see if they throw up or start crying. I don’t have a baby to demo with, but here you can see the Dormi app keeping an eye out on my stuffed Android using a 2013 Nexus 7 and Nexus 5. You can also throw something together using Skype How To Build Your Own Baby Monitor How To Build Your Own Baby Monitor If you're a recent parent, you've probably considered getting some sort of baby monitor. You possibly considered the utility of a video monitor and then you may or may not have balked at the exorbitant... Read More . A smartphone camera that takes bad photos is typically still capable of recording HD video. You can put that functionality to use by creating a home monitoring system. 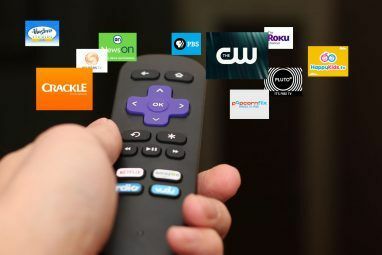 Use it to keep an eye on the kids while you’re out of the house, or let it provide extra peace of mind when you go on vacation. The persistent Internet connection will enable that old Android device to notify you whenever it detects motion. Sadly, criminals aren’t the only people you may have to watch out for. Sometimes danger comes in the form of a person who has sworn to uphold the law. The American Civil Liberties Union has released a number of state-based Mobile Justice apps that provide an overview of your rights. If things look like they’re turning sour, the included “Record” button will capture audio and video of the incident, then automatically send it to the ACLU afterward. It doesn’t matter how good your phone’s camera is. Think back to the clips of police brutality to go viral over the past few years. How many of them had crystal clear video quality? It may not be immediately obvious, but as you can see, taking photos is hardly the only thing you can do with a camera. So don’t let a fuzzy shooter or low megapixel count keep you from getting good use out of that lens on the back of your phone or, as awkward as it may be, your tablet. What ways have you used your camera aside from taking photos? Did you come across a special app, or have you come up with a creative use of your own? Either way, share it with us! Explore more about: Photography, Smartphone Photography. Usually bad camera smartphone also means bad battery life so forget about shooting lots of video. Then, provide a power source. Plug it in. Many times the camera hardware is not actually of bad quality but improper configuration of software that causes bad quality photos. It would be best to install different camera apps and check if photo quality improves. Interesting article.Jogged memory of 'what to do with old phone'. I am going to take the old phones out of the drawer and find uses for them now! Thanks for this mind joggling article. What Is Big Data, Why Is It Important, and How Dangerous Is It?